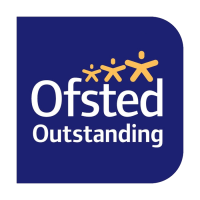 We are delighted to have been rated ‘Outstanding’ by OFSTED in this years report. Our inspection took place on 16th June 2017 and we are pleased to announce that the inspector found us ‘outstanding’. Staff are exceptionally confident and competent in their roles and responsibilities, including having a very secure knowledge of the safeguarding procedures. Children form extremely strong relationships with staff, who are very caring and highly attentive. Children feel safe and are exceptionally confident and independent. Staff support children’s move through the nursery and on to school exceptionally well. For example, younger children enjoy regular sessions in the pre-school room and there are excellent links with local schools. Older children explain that they know the school teacher very well, as she visits them at the nursery and they visit her classroom.